I have joined the Vision team with some 27 years experience in the financial services sector, the last 16 years being with HSBC. During that time I have specialised in creating tax efficient investment portfolios, pre and post retirement planning and inheritance tax planning. I have full Chartered status. 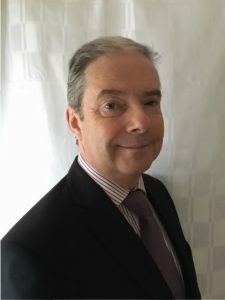 Being an Independent Financial Adviser, I am able to offer ‘whole of market’ advice for my clients, in delivering the solutions they require for their personal, family and business needs. I am a firm believer in building long-term relationships with my client, built around honesty, trust and service. I care about my clients, their families and their financial needs and aspirations. By taking time to fully understand my clients’ priorities, needs and objectives, I aim to provide them with personalised bespoke propositions, coupled with a high level of reliable service. An important aspect of this service, being regular face to face client reviews.